Here is some Great Tutorials & Guides you can use with your Samsung Galaxy Note 3. This is a great way to get Familiar with the Phone. So I got my Note 3 and the Battery was horrible! So much that I went and Purchased a new one. Popped the New Battery in and guess what, Same Results. Started messaging around with the system and realized, on this phone, I do not need the notification on Gmail. So I turned them off in the Administrative settings. Figured that might give me a few more minutes on my battery. Really there was no change. I also noticed, that even though i had disabled this is settings. It was still using up allot of my Battery. So I open up Gmail and went to settings. Clicked on my email address. Turned off Notification. Retested the Note 3 and my Battery went from 24-48 hours, to almost 4-5 days. Please be advised, this is without any use. I am sure using the Phone your battery will drain allot quicker. But 50% of the time, I don't use the phone and this helped increase the battery time for that 50%. That is an extra 2 day. Open up "Settings" on your Note 3. Find "General"(top 4th Tab) and Click. Find "Application Management" and click. Find the "Gmail icon" and click. Uncheck "Notifications". You get a warning of some sort, just ok the warning and close out. Open up your "Gmail" on the phone. Look for the "3 horizontal white Bars", top Left side and click. Scroll down to "Settings" and click. Tap on your "Email address". Uncheck "Notifications". You will get no notifications for your Gmail. but your battery will last allot longer. Only use this, if you don't plan on using your Gmail on the phone. 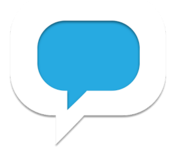 what is the latest version of andriod supported by freedompop on the note 3? 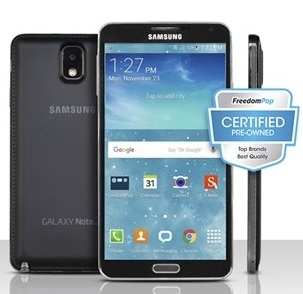 If I can unlock my Verizon Note 3, will it work on the Freedompop network?